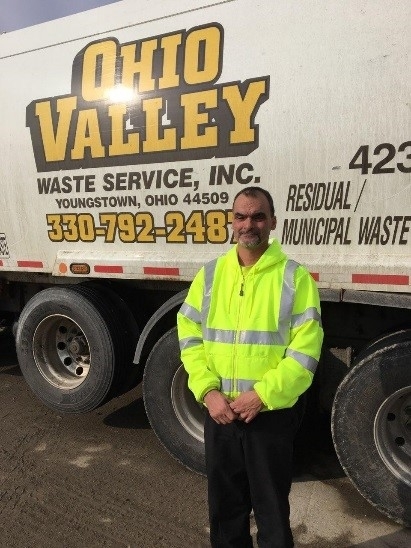 Ohio Valley Waste Service, Inc. is pleased to announce the recipient of their 2017 Driver of the Year Award, Anthony Melia. Anthony is a Front Loader Driver in our Residential Department and has been with the company for just over five years. He has demonstrated excellence in safety, work ethic, customer service, and compliance with Department of Transportation (DOT) regulations. We are fortunate to have him as part of our team. Congratulations, Anthony!